A question that comes up regularly from students and customers is to explain how to edit or scale a material on a surface of a 3D model. 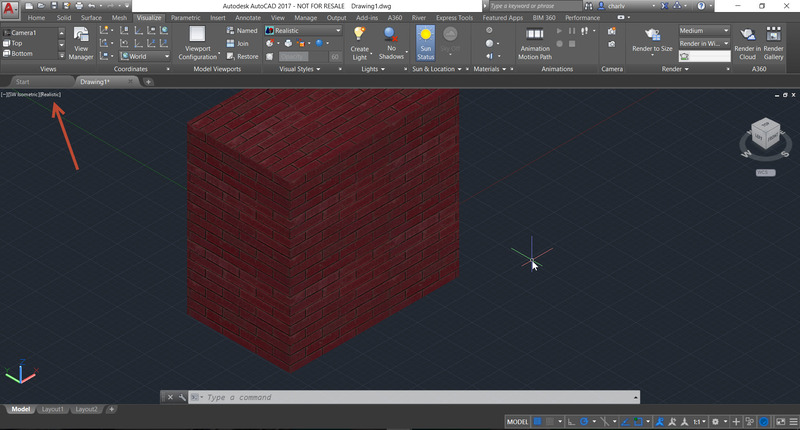 In the example below I have drawn a box shaped 3d solid and attached a brick texture to the object. To explain how to scale the brick pattern on the side of the object please follow the step below. Firstly, make sure you set the Visual Style to Realistic so that the material is visually shown as the Realistic visual style is the only default style which visualizes the material colours and patterns. 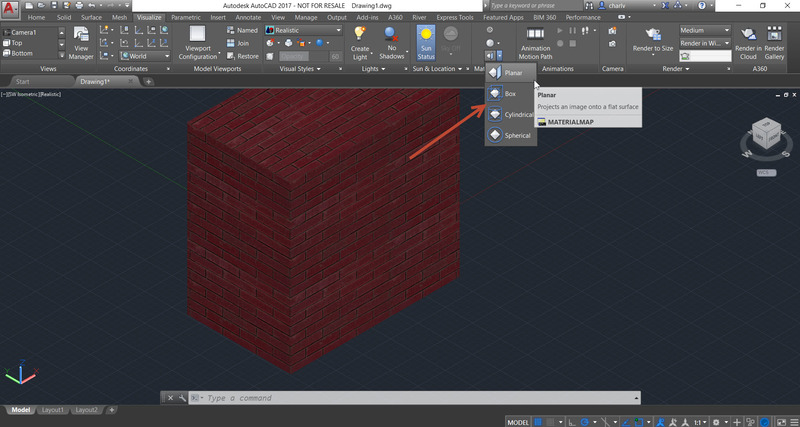 Having the 3D Modelling workspace active select the Visualize Tab and in the material panel select the Planar mapping as shown below. Next AutoCAD will ask you to select an object. In this case, we want to select only a face of the 3d object. The face would be a sub-element of the 3d model. 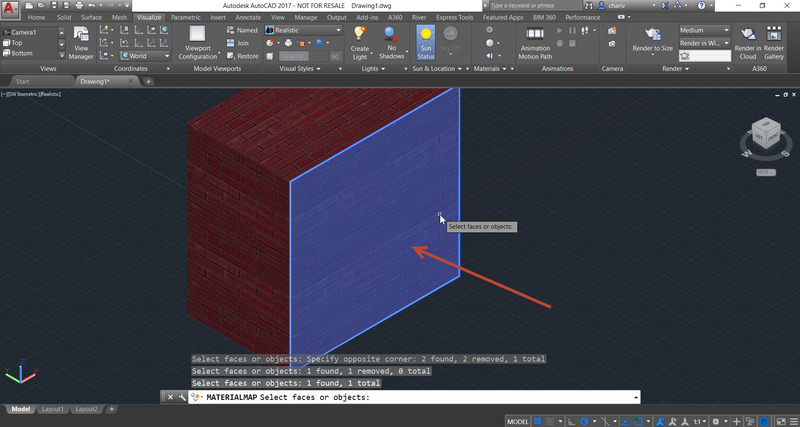 To select sub-elements in AutoCAD like a face of a 3d model or a segment of a polyline you would hold down the CTRL key and select the sub-element. See below. Once selected press Enter to finish the selection. A rectangular Materials Mapping plane will appear on the face. You can now select and resize the mapping rectangle by selecting the arrow on one of the sides to resize the brick pattern on that face. You’ll now notice that the object has a smaller sized brick pattern than the other untouched sides of the 3d model.